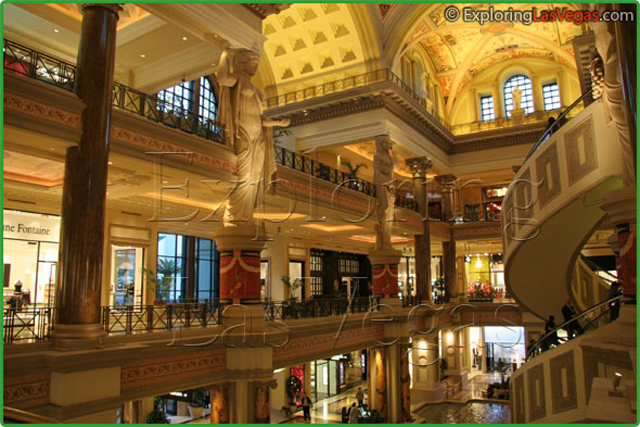 The Forum Shops at Caesars Palace Hotel is an astounding shopping experience. Considered to be one of Las Vegas' premier retail, dining and entertainment hotspots, it includes over 160 shops and boutiques, specialty food shops and 13 restaurants. Shoppers will find legendary stores like Bvlgari, Burberry, Christian Dior, Fendi, Versace, Gucci, Louis Vuitton, Valentino and more in the shopping complex. Whatever it is you search for, you'll find it in this shopping experience like no other. 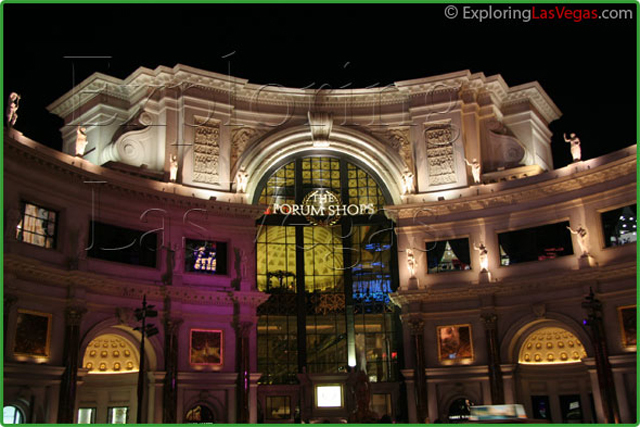 The Forum Shops are so successful because of their commitment to progress. The complex recently expanded, adding 175,000 square feet as well as additional levels. 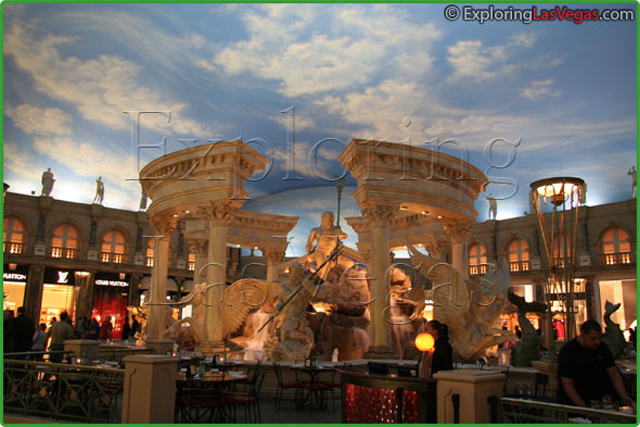 This extended the Forum Shops all the way to Caesars Palace Hotel Las Vegas Boulevard. At the boulevard there is a magnificent pedestrian plaza for shoppers to mingle before immersing themselves in the shopping experience. The Forum Shops commitment to progress includes keeping their shoppers' desires in mind, making a day at the shops a delight.